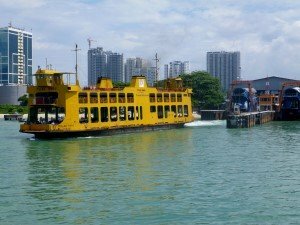 If you arrive in Butterworth by train or bus, you are only a couple of minutes walk away from the Butterworth to Penang Ferry Terminal, where you can catch regular ferry boats over to George Town on Penang Island. At the moment, the area around the train station and bus terminal in Butterworth is a bit of a building site, as the new Penang Sentral Terminal is under construction. If you arrive at Butterworth Train Station, make your way downstairs to the front entrance, where you will see signs posted to take you up to the ferry terminal on your left. From the bus station in Butterworth (which is currently located right in front of the train station), you use the same walkway as you do from the train station, at the rear of the bus terminal. Once you reach the ferry terminal, you will have to pay for the crossing over to George Town. 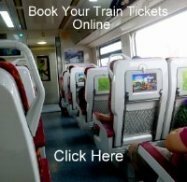 It is a very cheap trip! Children ( 5- 12 ) 0.60 MYR. The turnstiles you have to pass through to get to the waiting area have now been updated (2017) and no longer take coins. 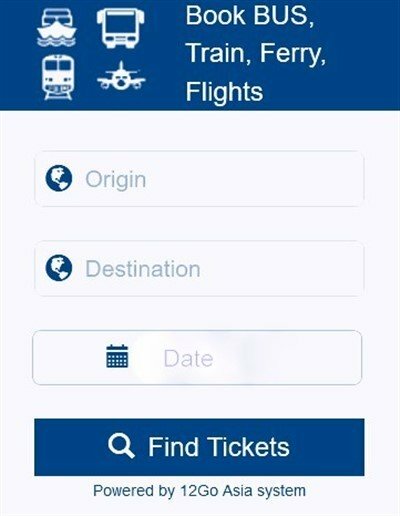 You now have to buy a ticket from the new ticket kiosk, then scan the ticket on the top of the turnstile to pass through. 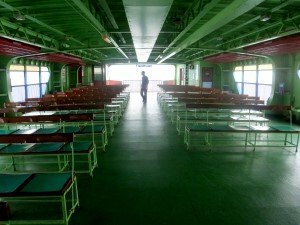 When crossing in the other direction, from Penang to Butterworth on the ferry, there is no charge (you only pay to get to the island). The first ferry from Butterworth to George Town Penang leaves at 05.20 am. The last ferry is at 00.10 am. From Penang the first ferry to Butterworth is at 05.40 am. The last at 00.40 am. Ferries depart back and forth between these hours roughly every 20 to 30 minutes during the peak hours of the day, slowing to around every 60 minutes at quieter times after 10.00 pm. The boat trip takes just 15 minutes. Once you are on Penang Island, the walkway from the ferry port, leads you out to the Rapid Penang Jetty Bus Terminal, both on your left and right. For most tourist, the buses you want will be departing from the left bus terminal. Here you can catch the free city bus or the 101 bus to take you out to the beaches of Batu Ferringhi. If you want to walk into town, cross over the main road using the stairs at the end of the walkway, walk past the Food Court, then turn left on Victoria Street. This will take you to Gat Lebuh Chulia. From here turn right and in 5 - 10 minutes you will be in the main budget accommodation area of the old city, in Chulia Street, Love Lane and Muntri Street.